The program is designed for students with a primary interest in research and scholarship in addition to clinical practice. The majority of the faculty have a cognitive or behavioral approach to assessment and treatment, and the program is geared primarily to students who wish to receive this type of training. There are also more limited opportunities for students whose interests are eclectic and who may supplement training in cognitive behavior therapy with courses and supervised experiences in other approaches (e.g. family systems). For students whose primary interests are in the practice of clinical psychology, the University also offers graduate training in clinical psychology leading to the Doctor of Psychology (Psy.D.) degree through the separate Graduate School of Applied and Professional Psychology (GSAPP). 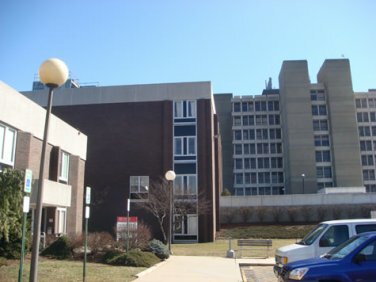 The Clinical Ph.D. program at Rutgers University is an American Psychological Association accredited training program. We are a member of the Academy of Psychological Clinical Science, a coalition of doctoral and internship training programs that share a common goal of producing and applying scientific knowledge to the assessment, understanding, and amelioration of human problems. Membership in the Academy is granted only after a thorough peer review process. Our membership in the Academy indicates that we are committed to excellence in scientific training, and to using clinical science as the foundation for design, implementing, and evaluating assessment and intervention procedures. We view clinical psychology as a specialty area within the discipline of psychology, and believe that research, scholarship, and clinical application should be firmly grounded in the core knowledge base of psychology as a science. Questions about accreditation status can be directed to the program or to the APA Office on Accreditation at (202) 336-5979, or by mail at 750 First St. NE, Washington, DC .